Ryhope CW welcome fifth placed Hebburn Town to Recreation Ground for a Northern League Division One encounter, our first home game since mid December. Looking to extend our unbeaten start to 2019, we’re in for a tough test against a Hornets side enjoying a great first season in Division One. However, Colliery Welfare will be hoping for a much better performance than they produced in the 1-1 draw away to Penrith last week. Hebburn didn’t have a great time out last week either, taking a 3-2 defeat at Stockton Town. After a very strong start to their league season, the Hornets have fallen a few points off the leading pack, but with a good run until the end of the season they could easily be in the promotion mix. 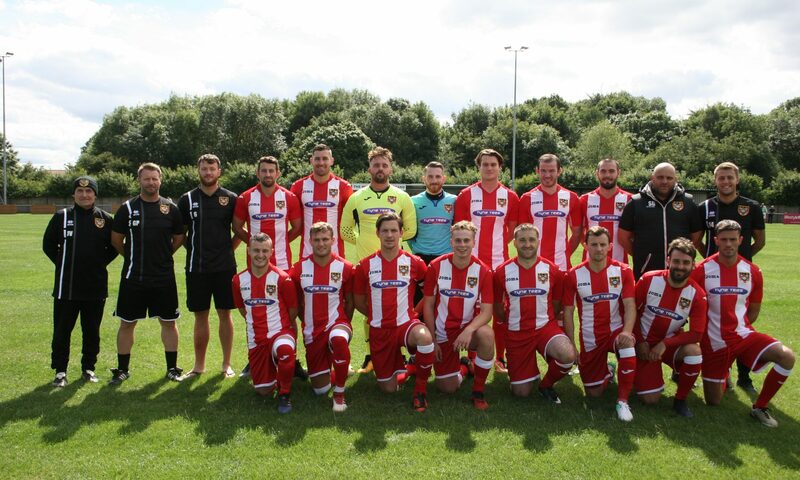 The South Tyneside club have also been going fantastically in the Vase and will face West Auckland, the only other Northern League club to have made the Fifth Round, in February. A tough test, but there are some good omens for Ryhope. Colliery Welfare are unbeaten in their last three and have won their last two home league games. Speaking ahead of the game, Colliery Welfare manager Gary Pearson said: “It’s nice to be back at home, the pitch should have had a rest. “We have got a few decent teams coming up, people who are doing well in the league but on the other hand we are in a bit of form having been unbeaten in the last three games and we’ll look to take that into the next game and move on from there. This fixture is the first in a run of four home games and a win against a good side could possibly act as a springboard for this run of home fixtures. Colliery Welfare’s visit to the Hornets this season ended in defeat. The first-half was a deadlock, but James Ellis struck in the 50th minute to give Ryhope the lead. However, Michael Richardson equalised and Graeme Armstrong gave Hebburn a 60th minute lead. Armstrong bagged again, this time from the penalty spot, and Hebburn ran out 3-1 winners. Hebburn were in Division Two last season, but we did meet once. Ryhope won 2-0 in the Northern League Cup thanks to a Joey Melvin double, however a lot has changed since then. RCW’s squad is slightly depleted ahead of the game with injuries to Ollie Hotchkiss (knee), Elliott Woods (thigh), Chris Wallace (ankle), Nicky Kane (back). Joe Atkinson was added to the injury list last week, taking a groin injury against Penrith. Corey Nicholson’s fitness test did not provide good news and he will be out long term. Jack Devlin still has a four match ban.